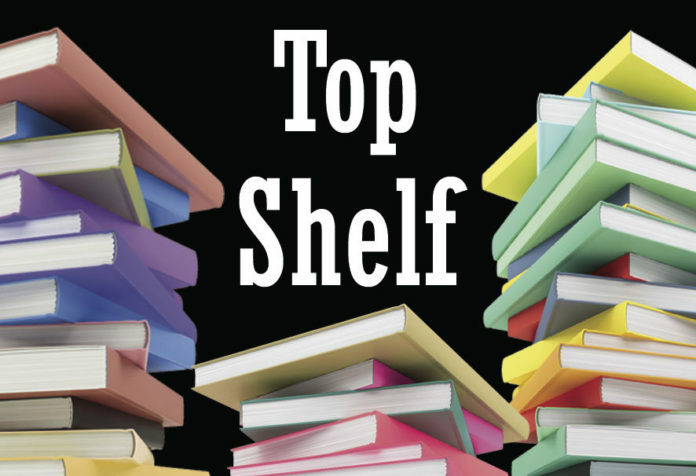 I read more books than I get a chance to review in this column, so let me take a moment to highlight some fascinating titles you should consider checking out. Like some of his previous novels, the latest story collection from Jerry Craven draws deeply from his experiences travel to and living in fascinating locales around the world, especially the Far East. “Ceremonial Stones of Fire” brings together previously published and new pieces fully of Craven’s trademark wit, adventure, philosophical depth, and fascinating characters. Less uplifting but equally powerful is “Marigold” by Troy James Weaver, a slim collection of vignettes that follow the dead-end-job, crumbling dreams of a suicidal floral salesman. Like an absurdist Bukowski with a broken heart, the protagonist encapsulates the nauseous dread so pervasive in our Trumpian America. Beautiful, sad, deftly written, this slice-of-life will make you think and think and think. The set-up for “I Miss the World” is deceptively simple: two siblings are having a conversation in Hollywood Forever Cemetery, reminiscing, spinning out ideas, clashing. But Violet Levoit takes the straight-forward, almost Hemmingway-esque scenario and uses it to craft a twisty, anarchic, brutal crime story in which trauma and nostalgia collide in a masterful explosion. For lovers of edgy, intelligent noir. In “Texas Weather: An Anthology of Poetry, Short Fiction, and Nonfiction,” editors Laurence Musgrove and Terry Dalrymple have collected a wide range of pieces from 59 contributors that explore the power and beauty of weather in Texas. It’s a fantastic collection, and you’ve got a chance to hear five local authors read from it from 2 to 4 p.m. Saturday, May 20, at the Barnes & Noble store located at 4005 N. 10th St. in McAllen. Readers will include 2012 Texas Poet Laureate Jan Seale, Chip Dameron, César De León, Katie Hoerth, and yours truly. Come on out … the weather will be fine! Finally, local poet Diana Elizondo has her first book of poetry out, “Smoked Blood and Lavender.” You can hear her read from and discuss and read from the volume from 6:30 to 8 p.m. Tuesday, May 23, at the Dustin Michael Sekula Memorial Library, located at 1906 S. Closner Boulevard, in Edinburg. The book will be on sale at the event and refreshments will be on tap. Please join Diana in launching this dark and beautiful book of verse. David Bowles is a writer, educator and editor. You can contact him at www.davidbowles.us .